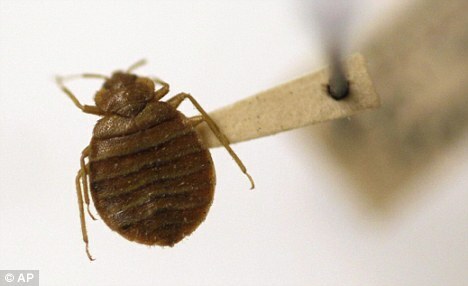 Bedbugs don’t make you sick, but the poisons used to kill them can. Dozens of Americans have fallen ill from the insecticides, and a North Carolina woman died a few years ago after using 18 cans of chemical fogger to attack the tiny blood suckers, a government report revealed. Because many of the cases, including the lone death, were do-it-yourselfers who misused the chemicals or applied the wrong product, federal health officials are warning consumers to be careful and urging them to call professionals. The report by the Centers for Disease Control and Prevention counted 80 illnesses and one death linked to the insecticides over three years. Most of the cases were in New York City, the apparent epicenter of a recent U.S. bedbug comeback. The CDC was able to get data from 12 states, and only seven had reports of such illnesses. One was New York, where bedbugs have become a highly publicized problem and where health officials have also been extra vigilant about reporting unusual chemical poisonings. Investigators were relieved to find a relatively small number of cases. ‘At this point, it’s not a major public health problem,’ said Dr. Geoff Calvert, a CDC investigator who co-authored the study. Bedbugs are wingless, reddish-brown insects that bite people and animals to draw blood for their meals. Though their bites can cause itching and welts, they are not known to spread disease. ‘There’s nothing inherently dangerous about bedbugs,’ said Dr. Susi Vassallo, an emergency medicine doctor who works at New York City’s Bellevue Hospital Center and occasionally treats patients who report bedbug problems. But the insects are a major hassle. In recent national surveys of exterminators, bedbugs were named the toughest pest to get rid of. They can hide for months, only come out at night and can be hard to spot with the human eye. They are also creepy, provoking intense fear in the minds of many people unnerved by the threat that an almost invisible insect could emerge at night to drink their blood. ‘Sometimes people get hysterical,’ said Theresa Braine, a New York City journalist who lived with bedbugs in her apartment for a year and now writes a weekly Internet column about the pests. The CDC study was the first to look at the dangers of bedbug insecticides. Researchers reviewed reports from California, Florida, Michigan, North Carolina, New York, Texas and Washington. They counted 111 cases from 2003 through 2010. Most occurred in the last few years, when bedbug reports rose across the country. More than half were in New York City. People suffered headaches, dizziness, breathing problems and nausea and vomiting. More than 80 per cent of the illnesses were considered mild. The one death was a 65-year-old woman from Rocky Mount, North Carolina, who had a history of heart trouble and other ailments. She and her husband used nine cans of insecticide fogger one day, then the same amount two days later, without opening doors and windows to air out their home afterward. She also covered her body and hair with another bedbug product, and covered her hair with a plastic shower cap. Two other illnesses were carpet cleaners who had not been told the apartment had recently been treated with pesticides. Two more were emergency medical technicians who responded to a scene and were exposed to a white powder believed to be a pesticide. About 90 per cent of the cases were linked to pyrethroids or pyrethrins, insecticides commonly used against bedbugs. 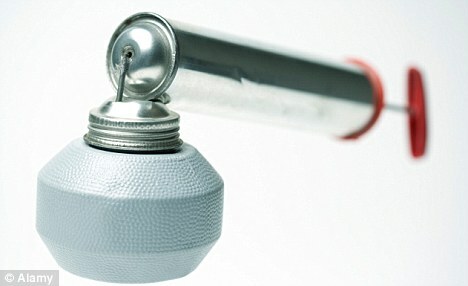 But in some cases, an improper and more dangerous product was used. That happened in 2010 in Ohio, where an uncertified exterminator used malathion to rid an apartment of bedbugs, even though the chemical is never supposed to be used indoors. A couple and their six-year-old child got sick. CDC officials suggested people trying to rid their homes of bedbugs should first thoroughly vacuum all floors and furniture and wash linens. Exterminators can be expensive. Braine said it cost her more than $1,000 for one treatment of her small Brooklyn apartment, which was only briefly successful. She has since moved to another place. For products that are sold to the public, labeling could be a little better. ‘We think it would be helpful if they were easier to read, understand, and better conveyed the message that the insecticide can be toxic and should be used with great care,’ Calvert said. A spokeswoman for the National Pest Management Association, a trade group, said the industry is continually looking at improving its labeling. But some people just don’t read labels. For example, foggers are not recommended for bedbugs, she noted. And it appears some people use much more than is recommended. Overall, chemicals are expensive, unhealthy, and can even be lethal. One way to be CERTAIN you have removed invasive bed bugs from your premise is with an industrial Bed Bug Heater.